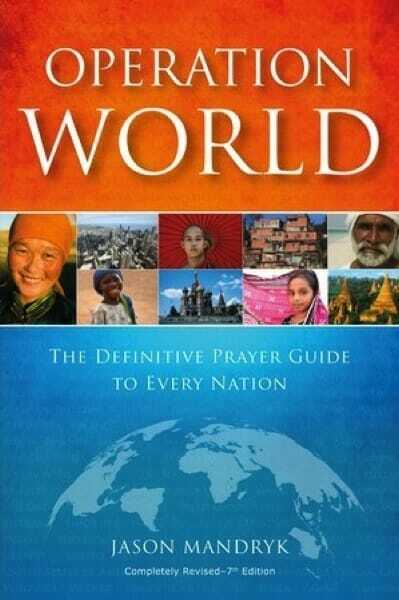 Operation World: Prayer Guide for the World | Is the Quran the Word of God? The latest edition of ‘Operation World’ spotlights a shifting global church. Operation World might just be one of the most popular and influential evangelical books you’ve never read. Since 1974, the daily, country-by-country prayer guide has sold 2.5 million copies in six editions, including about 400,000 for the 2001 (most recent) edition. Canadian Jason Mandryk, a missionary researcher with Worldwide Evangelization for Christ International, has taken the reins as author of the newest edition, which will be published next month. Christianity Today editor at large Stan Guthrie spoke with Mandryk about shaping the edition in the wake of numerous changes in the political, economic, and religious spheres in a post-9/11 world. What are the most significant changes to Operation World since the last edition? The global church has extended itself into new areas, even while it faces a growing crisis of confidence in the Western world. Since the invasion of Iraq, the Middle East has seen an acceleration of the exodus of traditionally Christian peoples on a scale that dwarfs the praiseworthy increase in believers from a Muslim background. How has the book changed to reflect a post-9/11 world? 9/11 profoundly affected issues of security in missionary work and the interface of politics and religion in many countries. What has gone into the book reflects this; we have struggled to discover the entire ministry that goes on in many of these places, and have needed to be much more circumspect in how we report it. But in the unevangelized world, 9/11 was a non-event, or at least far down on the list of pressing issues that shape the nature and dynamics of Christian ministry. Why has the book been so influential? The emergence of Operation World as a resource was synchronous with the birth of an awareness in the West and the global church of the sheer diversity of Christianity, and the great challenge of the unevangelized world. There was a dearth of information to assist in prayer. Operation World was born out of the need to provide information to Christians in Africa for weeks of prayer organized by the Dorothea Mission, a South African multicultural group in the 1940s that majored in evangelism. The churches desired to pray for other countries, but because of their geographical isolation, the sanctions against southern Rhodesia and South Africa, and the lack of communications technology, they knew very little about the rest of the world or how to pray for it. It wasn’t necessarily born out of a missionary dynamic; it was born out of a prayer dynamic. It’s interesting that a primarily informational book is also inspirational. I visited a Ukraine ministry that worked with abandoned and orphaned street kids, particularly substance abusers and solvent sniffers. A North American man close to my own age was obviously having a great impact in a number of lives. I began to question myself, thinking, All I’ve done in my ministry is sit in a comfortable office, crunch numbers, and write from my desk about what’s going on in the rest of the world. I met this fellow at a Christian meeting the following day, and I discovered that he became involved in ministry because he had read the 1993 Operation World. We’ve heard for a while that the balance of the global missionary force has been tipping to Asia, Africa, and Latin America. We can definitively say the balance has tipped. We’ve encountered a radical unfolding of awareness of situations from the non-Western world, in both the size of the church and the size of the church-planting force. How is the West doing in sending missionaries? It’s kind of in a holding pattern. The Western church is undergoing a shift, partly because people are aware that the majority world is sending so many missionaries. Now there’s a temptation to exempt ourselves. I think the commands of Scripture are very clear and haven’t changed. There are still many countries where there is no possibility for the gospel to be communicated from within the country. In some cases, someone still has to come from outside. There’s plenty of information about other nations and religions, particularly online. Why is Operation World still needed? In addition to being a highly collaborative, consultative resource, it’s written from a thoroughly evangelical and missional perspective. Of course, you can log on to Encyclopedia Britannica and find out what percentage of Kenya’s imports come from Japan. But the essence and dynamic of Operation World are found in the prayer points. Is passion to pray for the world increasing, decreasing, or staying about the same? On a global level, it is definitely increasing. You can see that in trends and movements beyond Operation World, such as the Global Day of Prayer. But once you begin to see the number of prayer movements that have emerged in the past five to ten years, you’re staggered to see how God is awakening his people to pray for their nations and the world. Passionate prayer is such a natural expression, for example, within the African Christian context. In many parts of Africa, they don’t turn to their material wealth, their national security, or the excellent infrastructure of their church networks. Often their first instinct is to turn to prayer. And I’ve been amazed by the sustained nature of their prayer.